Kate Winslet had to train in this and she got up to a static breath hold of just about seven minutes. It’s amazing, it’s mind over matter. You see Kate going underwater and she just felt so comfortable. There was one day, we have a tank where she was just rehearsing and testing and we have some windows into it, and I go in there and she’s just walking on the bottom [of the tank] left and right, left and right, left and right, then she sees me in the window and she just waves. I couldn’t believe it! 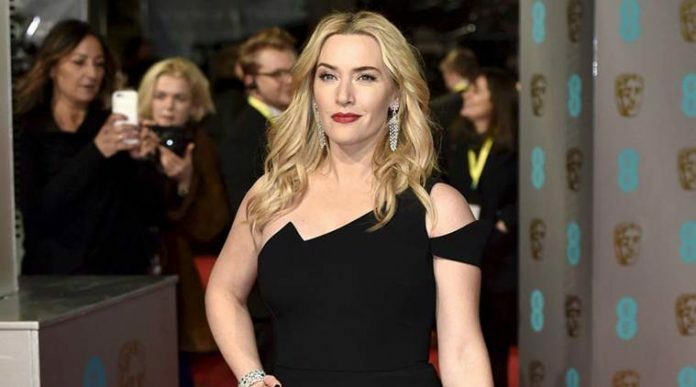 While Kate Winslet didn’t break any records holding her breath underwater for seven minutes (several individuals have done that for more than 20 minutes), the fact that she went that long is still impressive, as the average human can only hold their breath for between two-three minutes. Surely that’s something she can put on her acting resume, right? Not that Winslet is having trouble scoring roles, but if there’s a movie requiring one of the performers to stay underwater for an extended period of time, her experience on the Avatar 2 set, which Jon Landu talked about during the Collider-hosted Alita: Battle Angel IMAX screening, provides extra incentive for her to be cast. Kate Winslet was announced to be joining the Avatar 2 cast back in October 2017 as a character named Ronal, who was later identified as a Na’vi free-diver from the Metkayina tribe. So naturally it was especially important for Winslet to get used to being underwater, and clearly the training paid off if she was able to just pace at the bottom of a water tank easily. Kate Winslet already has experience working in water on a James Cameron project, but she didn’t spend nearly as much time underwater on Titanic as it sounds like she will be for Avatar 2. Just like in real life, Avatar 2 is set over a decade after the events of Avatar, with Jake and Neytiri raising three children. Beyond that, no specific plot details have been revealed yet, but Kate Winslet is just one of many of the new faces who’s joining the sequel, with others including Oona Chaplin, David Thewlis and Edie Falco. It was rumored in November that Avatar 2 could be called Avatar: Way of the Water, and while that has yet to be confirmed, James Cameron did recently acknowledge that that title is one of many that’s been considered for the Avatar sequels. Avatar 2 opens in theaters on December 18, 2020, so stay tuned to CinemaBlend for continuing coverage. Don’t forget to also browse through our 2019 release schedule to learn what’s hitting the big screen a little sooner.